Blocky variety for filling light green before the ripening, and red at ripening. Fruit of medium size. The thickness of the flesh is medium thin. Flesh sweet and easy digestible . Circle mid early. 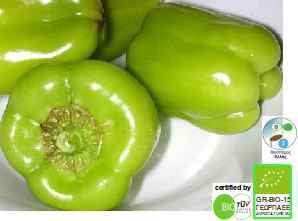 The harvest starts in June as a green pepper. Good for cultivation in green house and open field.